The IT service and incident management software market is increasingly growing more crowded and competitive than ever. 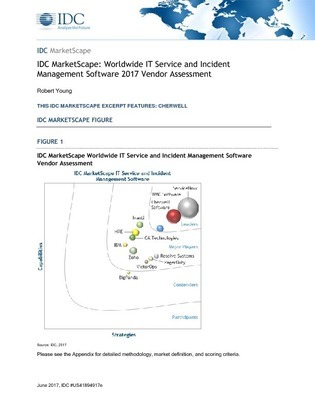 This IDC MarketScape provides a short list of vendors that IDC's vendor-neutral experts believes to be the most mature, offering the most complete mix of business and technology strategies and capabilities for delivering an IT service and incident management portfolio of tools and services. Read this report to review the factors driving market growth, what to look for in a potential investment, and gain an overview of the top 12 vendors in the market.